Simeone, Loew or Ancelotti – who should win the 2014 FIFA Coach of the Year? FIFA has announced its final shortlist for the 2014 FIFA Coach of the Year award and it was (sort of) what everyone was expecting it to be; it included Champions League winner Carlo Ancelotti, World Cup winner Joachim Loew and La Liga winner Diego Simeone. Aside of the detailed statistical comparison provided, who deserves the award the most? 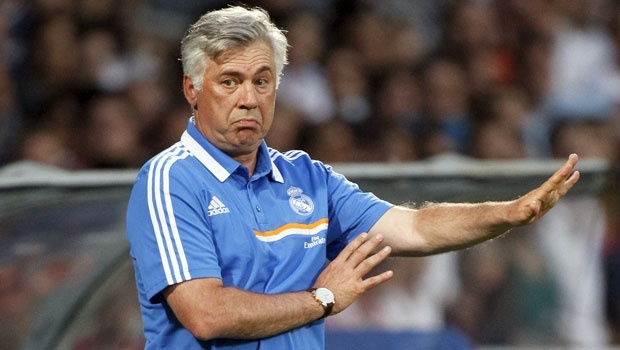 Carlo Ancelotti: Where do we start? The experienced Italian has literally done it all in 2014, from winning titles, matching records, breaking records, winning over the fans and locker room, to re-inventing players. 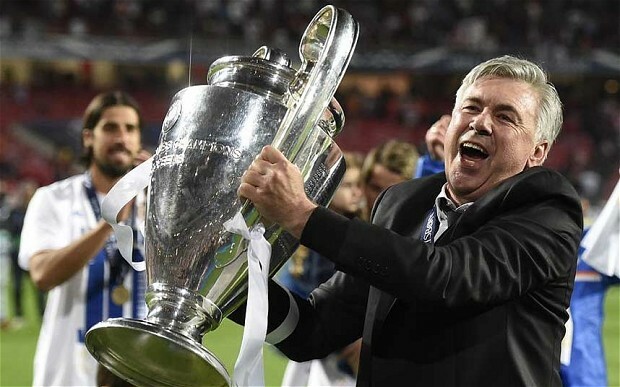 Lets start with the titles; Ancelotti has won three titles thusfar in 2014 in the shape of the famed La Decima, the Copa del Rey, and the UEFA Super Cup. This list is very likely to see an addition in the form of the Club World Cup, which Real Madrid will contest in late December. So, with three titles in 2014, Carlo Ancelotti is the coach with the most tiles won between not just the final shortlist, but the entire 10-man list initially released by FIFA. He also ventured into the ‘record breaking’ path as he orchestrated Real Madrid’s longest winning streak ever in all competitions (currently stands at 17 wins), longest winning streak ever in the Copa del Rey (10 wins), most goals scored in one Champions League campaign (41 goals), being the fastest coach in Real Madrid’s history to reach 50 official wins, and if Los Blancos wins the CWC, he will also be the first coach in the club’s history to win four titles in one calendar year. He also equaled Bob Paisley’s record of three European Cups won and in the process became the first and only coach to win three European Cups with two different clubs. The former Chelsea chief has guided Real Madrid to the top of the La Liga table with 10 consecutive league wins and secured the first spot in Group B of this season’s Champions League thanks to winning all the team’s matches so far in the competition. On top of all that, Ancelotti also ‘re-invented’ players like Di Maria, James, and Isco to better suit the dynamics of the team, which in part lead to them being better overall players themselves. Certainly an eventful year this has been for the Italian mastermind. Joachim Loew: With Ancelotti you see a lot of records and achievements, but some may argue that all of these feats are not equal to what Joachim Loew has won in 2014; the World Cup. 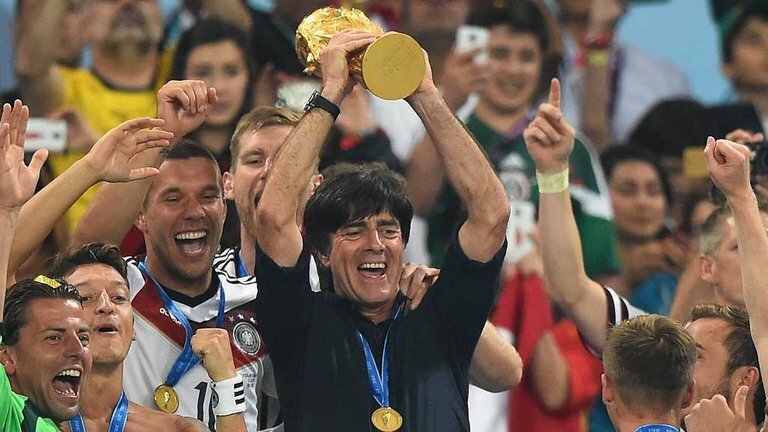 Loew guided Germany to the World Cup title with consistent, entertaining, direct, and brutal football that ruthlessly destroyed Brazil 7-1 in the semi-finals; providing the biggest ever semi-final result in World Cup’s history and the South American nation’s biggest home defeat ever. While many teams showed promise but eventually delivered below par performances, Loew’s Germany dominated with sheer consistency. They were on point throughout the tournament and deservedly won the title to prove it. The World Cup is without a doubt the biggest title in world football so winning it in style surely can’t hurt your chances in winning the COTY award. Diego Simeone: Quite possibly the ‘dark horse’ in this year’s COTY award race, Diego Simeone has to go up against a coach that has won more titles and broke more records than anyone else in 2014, and a coach who has won the grandest prize in football in the shape of the World Cup. And what does he have to go against them? Just a La Liga title and the Supercopa with Atletico Madrid. On the surface it might not seem enough, but once you realize that Simeone achieved this with a Vicente Calderon outfit that was battling relegation when he was first appointed, you will come to know the magnitude of his achievement. He lifted Atletico to heights that saw them challenging the two Spanish powerhouses in the form of Real Madrid and Barcelona, and he actually beat them to the La Liga title. Something that hasn’t happened in a decade. With a budget that pales in comparison to the Clasico giants, and with a squad that may lack the flair of traditional world-class players, Simeone relied on sheer hard work and discipline to battle through the opposition. This eventually led Atletico to the final of the 2013/14 Champions League where he was just a 100 seconds away from winning the title, and a La Liga triumph that will surely go down in Spanish folklore as one of the most surprising upsets in league history. On any other year, what Simeone has done might have been enough, but in 2014, with a Champions League winner and a World Cup winner; it may not be the safe to bet on the Argentine. When Carlo Ancelotti first arrived at the Santiago Bernabeu, he promised wins and beautiful football, and he has certainly delivered on both fronts. Since he was appointed, Real Madrid have played 82 matches in all competitions, winning 64, making him the manager with the highest win percentage in the history of the club (78%). Los Blancos have also scored 227 goals in those 82 matches at a rate of 2.77 goals per match, again the highest rate in the history of the club (of all managers with 30+ games). And if that wasn’t enough, the Spanish capital city side have only conceded 66 goals in the Italian’s tenure at a rate of 0.80 goals conceded per game, yet again the best rate in the club’s history. So with all of these stats, it enough to call Ancelotti one of the all-time greatest Real Madrid managers? Probably, because these are not the only things he has accomplished in his short time with Madrid. On top of all the records mentioned, he was also the manager that ended Real Madrid’s wait for the coveted and long sought-after La Decima. Florentino Perez spent over a billion euros in a dozen years as he longed for his dream of seeing the tenth European Cup in the Bernabeu, yet the former Chelsea boss ended his wait in his first season with the club. Ancelotti didn’t just win La Decima, he did it in style. In arguably one of the most dominant campaigns in the competition’s history, Real Madrid steamrolled teams in last season’s Champions League and scored 41 goals in the process. Those 41 goals were an all-time record; breaking the previous tally of 35 goals by Barcelona. Real Madrid also equaled the group stage record for most goals with 20, and the record for most goals scored in a UCL final with four. All of these show that Real Madrid probably did have the most complete campaigns in Champions League history. Adding on to it was the Copa del Rey triumph, beating Barcelona in the final. Ancelotti brought the first Copa del Rey trophy to the Bernabeu since 2011; it was also the first time that Real Madrid won more than one title in a single season since 2002/03. Needless to say, starting this season with big hopes was not an uncommon thing, and Ancelotti did not disappoint with a UEFA Super Cup win in August. Real Madrid currently boast the strongest attack in Europe and lead the La Liga table on top of being the only team to have won all five matches in Europe’s top tournament this season. They currently need two wins to equal the longest winning streak in the Champions League, two home wins to equal the longest home winning streak in the European competition, and finally two away wins to equal the longest away winning streak in the Champions League. All of these ‘near-records’ show how close Ancelotti is from breaking several long standing records with a Real Madrid team that is currently ranked as the best in the world and probably the best Madrid side in recent memory. If all of that wasn’t enough, Ancelotti became the first manager in the club’s history to win 16 consecutive matches in all competitions. He has passed the 15-match winning run accomplished by Jose Mourinho and Miguel Munez, and needs just two more wins to equal the all-time record for most consecutive wins in Spain’s top-flight history (18, set by Barcelona). Ancelotti also stands on the cusps of another feat, which is to be the quickest coach to get to 100 wins, currently held by Mourinho, who needed 133 games to achieve that record. However, with Ancelotti at 64 wins from 82 matches already, it’s very hard not to see him take that record away from Mourinho as well. So all of these stats, records, and accomplishments make Carlo Ancelotti without a doubt, one of the best Real Madrid managers in recent memory, but is he an ‘all-time’ great? That might be more arguable, but with his and the club’s willingness in extending his contract to 2017 or 2018, it is extremely difficult not to see him as one of, if not the best, managers in the club’s history once his tenure ends at Real Madrid. At the Santiago Bernabeu, the stage is literally set for what could be the unveiling of the world’s most-expensive footballer. Gareth Bale’s proposed move from Tottenham to Real Madrid has understandably monopolised recent back pages as fans await the conclusion of a transfer saga that has left many questioning the financial implications of the reported £85 million deal. Aside from the moral qualms many have about such an astronomical figure, most fans have been left querying whether Bale is worth the record-breaking fee. The Welshman is a phenomenal footballer on a par with other Premier League heavyweights; Luis Suarez, Wayne Rooney and Robin van Persie. Yet these players aren’t nearly attracting the astronomical figures to their names as Bale. Robin van Persie, last season’s top goalscorer, was bought for a measly £22.5 million last year. One of the finest all-round English players of the last decade, Wayne Rooney, was only recently valued at a mere £25 million by Chelsea. Luis Suarez, scorer of 30 goals last season, has attracted massive offers from Arsenal but that famous 40 million and a one pound pales in comparison to the reported Bale fee. The residing question then is this: what exactly are Madrid up to? Gareth Bale is undoubtedly a superb footballer. Not even the most ardent of Arsenal fans would question that. 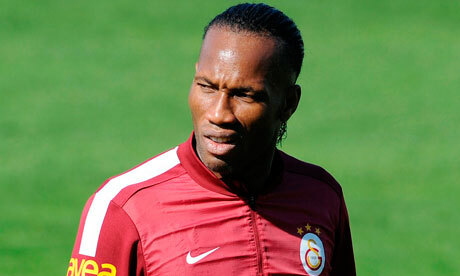 For club and country, the midfielder scored 31 goals last term. He single-handedly won games for his team in sublime fashion on more than a handful of occasions. These are facts that nobody can deny. They are also facts that fans of Manchester United (Rooney and van Persie) and Liverpool can boast of their stars yet no record transfer fee hangs over the heads of these players. Real Madrid president Florentine Perez obviously sees value in the Welshman and is willing to part with £85 million to prove it. Real Madrid are no strangers to blockbuster signings. In 2001 it was Zinedine Zidane (a then world record £45.6 million). In 2009, it was Kaka (another world record of around £56m) and then Cristiano Ronaldo (yet another world record fee of £80 million). At a cheaper, but no less significant, level they signed David Beckham from Manchester United in 2003 for £24.5 million. Real Madrid is unashamedly a brand and each of the players mentioned slotted perfectly into the on-going mission to solidify the Galácticos as the largest global brand in football. Through sponsorships and worldwide touring Madrid have become the most recognised football club on the planet. With Beckham they acquired Europe’s most valuable sporting personality. From the very beginning of his Spanish adventure David Beckham was helping his new club recoup the money they had dished out on him – even his medical was sponsored by a health-care firm. Add this to multi-million pound Adidas deal to match Madrid’s and a merchandising agreement that reportedly had Beckham handing 50% of his personal sponsorship earnings to Madrid then it is safe to say that the Spanish giants have an idea of how to spend money to make money. ‘Brand Madrid’ seek players that are able to enhance not just their on-field success but also that off it. Jose Mourinho’s managerial credentials need no clarification yet he was considered surplus to requirements at Madrid as his controversial antics were just not in keeping with the angelic sheen of the nine-time European Cup winners. When Mourinho was seen to poke then Barcelona assistant Tito Vilanova in the eye the Spanish press called it ‘deplorable’. Not an image football’s biggest commercial club wished to convey. Madrid were often linked to Liverpool’s Luis Suarez this summer, a player with statistics that at times outshine Bale’s, yet this interest never gathered any momentum and it can only be assumed that this is down to the tainted image of the Uruguayan. Like Mourinho, Suarez is capable of too much brand-damaging controversy to justify spending such amounts of money regardless of his talent. Just a quick glance at Real Madrid’s history of signings provides a clearer picture of why they are willing to spend such an enormous amount on a clean-cut, fresh faced, superstar in the making. 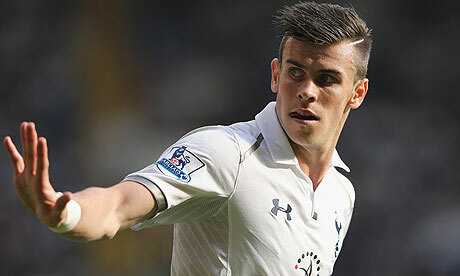 In Bale, Madrid have a young star in the making that they will be able to mould and shape to fit their own needs. In Madrid, Bale has a platform to expand his own brand. It was not so long that it was revealed Bale was attempting to trademark his heart-shaped goal celebration – he is clearly aware of the benefits of building his own brand beyond the game and the benefits of a Madrid move will not be lost on the 24-year-old. Even on a brand-building level, Bale at such a price will still be seen as a gamble for Madrid. Unlike, Zidane, Kaka, Ronaldo or Beckham, he is not a pre-packaged global star just waiting to become a shirt-selling machine. He doesn’t yet transcend sport like, say, Beckham did. The more cynical of supporters will assume the long drawn-out pursuit of Bale by Madrid is merely a clever marketing ploy to allow the world time to catch up and get to know the world’s most expensive footballer-elect before the eventual finalities are complete. Simply by being attached to such lucrative and high-profile transfers in recent history, Real Madrid have ensured their names in both the history books and newspapers all around the world; the Gareth Bale situation is no different. Madrid are being talked about by football fans and non-fans alike the world over, and that is just the way the like it as the brand continues to flourish with the latest star commodity preparing his keepy-up skills for the big Bernabeu reveal. Arsene Wenger’s search for new players to bolster an Arsenal squad on its bare bones has led to rumours that the Gunners could move for Mesut Ozil and/or Angel Di Maria. Don’t bet on either of these players turning out for the north London side any time soon. Yes, Real Madrid are on the verge of signing Gareth Bale for a world record transfer fee and yes they have already signed a couple of other players too. But it is in the Spanish capital city club’s psyche to have more players than they need. Ozil is a massively important player for Carlo Ancelotti’s men as is the main player in the squad that offers understated creativity and guile. With Bale set to play on the left and Cristiano Ronaldo through the middle, Di Maria will fight it out with Isco for a place on the right wing. Arsenal will no doubt sign a player or two before the transfer window closes, but it sure won’t be either of these two. Will Isco choose Manchester City over Real Madrid? Malaga’s 21-year-old attacking midfielder Isco is one of the most-wanted young players in Europe. His blend of guile, technique and swiftness is a captivating mix for teams facing increasingly rigid and structured defences in the Champions League and need someone like Isco who can give his attacking side a different method of breaking through. With this is mind, the battle lines seem to be being drawn between Manchester City and Real Madrid. Both teams would have different attractions for him and both are legitimate suitors. He seems willing to consider both, so who might he choose and why? On the surface Manchester City have some advantages. First, and most talked about, is the presence of new manager Manuel Pellegrini. It was under Pellgerini that Isco transformed himself from dominating Valencia B team player to a La Liga star. When Santi Cazorla left Malaga last summer, Pellegrini trusted the then 20 year old Isco to take over from him as the team’s main playmaker. He rewarded him with 12 goals and five assists. He personally credits Pellegrini for his rapid ascension to star status. However, there is a danger that this link is being overplayed. 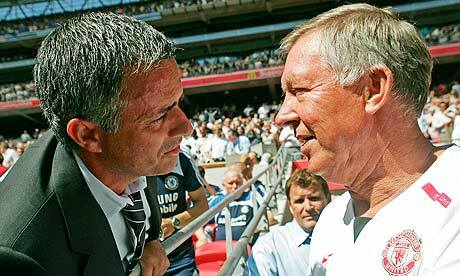 For a player to change club based solely on the manager is very risky. Short of joining Arsenal or Sir Alex Ferguson’s Man United, there is no guarantee that the manager who is there when the player signs will still be there at the end of a four or five year contract. This is very true of City who have, for various reasons, sacked two managers in the last few years. Obviously Real Madrid aren’t exactly a managerial paradise but he wouldn’t be moving there because of one. He may consider it but it is unlikely to be the foundation of a decision. The bigger advantage to joining City will be that he is far more likely to be guaranteed first team football, which is very important in World Cup year. Spain have the best squad in world football so it will be hard enough for him to get a place even if he starts every game, never mind if he is rotated. Despite their wealth, City are not yet in a position where spending £30m on a player can be justified if he’s sat on the bench. Real have the likes of Benzema and Modric who cost over that and aren’t sure-fire picks. Above the fee, City also have less competition for a first team place. Silva and Navas are probably sure of their starts but unless they sign Edinson Cavani with a plan to move Aguero back in to attacking midfield, there is another spot to be won. Isco could come in to the number 10 role at City and make it his own. At Real Madrid he already has Mesut Ozil and Luka Modric for competition and they are trying to sign Gareth Bale. Cristiano Ronaldo’s spot is set in stone and Gareth Bale’s would be if he was signed for £85m. It would mean four players, including Angel Di Maria and maybe even Kaka if he stays, are trying to fit in to one spot. Isco wouldn’t be the first young Spanish player Real have signed and benched. Callejon, De Leon, Canales and Raul Albiol have all come in and not made the team. Isco cannot afford the same fate. The challenge for City though, is that Real Madrid are Real Madrid. Despite all the history of benched young Spaniards the challenge of becoming a star in Madrid could be too much of a temptation for Isco. The white shirt has a certain prestige and if he is full of self belief, the prospect of making himself successful there will have a real pull. City have the advantage of first-team football and a platform for him to win a World Cup spot but if Real Madrid give him the chance to play it could be too much of a temptation to pass up. It’s been over 10 years since Real Madrid have been crowned kings of Europe; this maybe doesn’t sound a lot to some, but this club demand and expect European success. Their 7th, 8th and 8th European titles came over a six-year period but it’s been a frustrating wait for the Los Blancos’ fans, who crave that 10th title so badly. Raphael Varane would have been 10-years-old when Los Merengues last won the UEFA Champions League. There have been some of the world’s best players don the famous white shirt since the last European success, but perhaps the failure to replace central defender Fernando Hierro, who was an integral part in those three European successes over six years, appears to hurt Madrid’s recent European campaigns. Hierro is a Madrid legend. He was the commanding figure in defence who ensured the attacking flair players could fulfil the clubs philosophy demands and play freely, while he would organise and lead the back line. In his time at the club between 1989 and 2003 he played over 400 games and a major part in the club lifting five La Liga titles and three European cups. Since Hierro’s departure the club have tried and failed to find another player who possessed such mental and technical qualities. Expensive purchases have been made on Ricardo Carvalho, Sergio Ramos and Pepe; all very good ball playing defenders but all prone to concentration lapses and perhaps would benefit from a commanding centre half beside them. 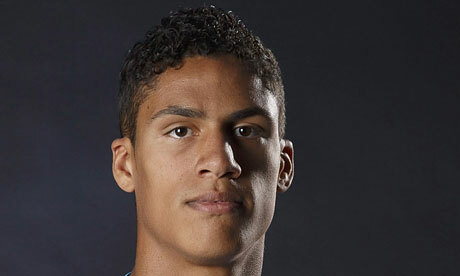 Step forward Raphael Varane. The Frenchman is only 19-years-old; as a young boy he progressed through the Lens youth academy and made his competitive debut for the club when only 17. After some excellent mature performances for such a young player he attracted the attention of many top clubs. He chose arguably the biggest club in the world to provide his next challenge. He signed for Real Madrid for €10million in 2011, turning down Manchester United, and quickly made his debut in the first team in his debut season. However this season has really seen Varane show his value and perhaps Mourinho’s recent selections suggest he may be first-choice centre half for the remainder of the season and long-term future. So early in his career Varane has already shown real quality and Mourinho already has put faith in his ability by selecting him in all Madrid’s crucial European and domestic matches this season, while expensive more experienced players watch from the bench. He is quick, strong, good in the air, can read the game, a clean tackler; all the attributes required to be a top centre half. He is the one clearing up from whenever his defensive partners have made errors. 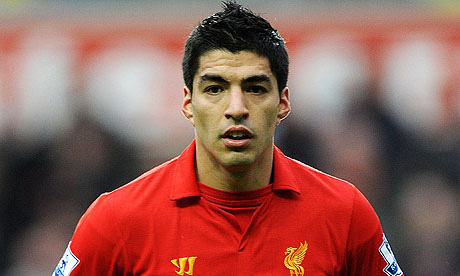 Dare I say it, he reminds me of Fernando Hierro. This season Madrid’s defensive set up seems a lot more solid with Varane in the team. Diego Lopez has established himself as number 1 after Iker Casillas’ fall out with Mourinho. Ramos can now attack the ball as he likes to do knowing that Varane will be covering behind him. In front Xabi Alonso and Sami Khedira protect the defence and break up the attacks whenever possible and cover for the full backs, who Mourinho likes to push forward. Then it’s up for the attacking four (whoever selected) to show their flair and creativity. At the moment Varane’s name on the team sheet might not strike fear into the opposition the way Cristiano Ronaldo or Mesut Ozil would, however he may be a major contributor to Los Blancos finally lifting their 10th European Cup, be it this season or in the very near future. 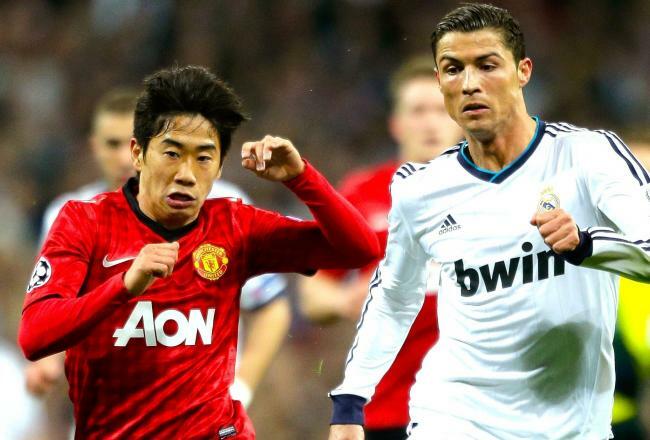 Manchester United vs Real Madrid: Does the winner of the tie become favourite for the tournament? Champions League football returns tonight with a mouth-watering last 16 clash between Manchester United and Real Madrid at Old Trafford. The tie is on a knife-edge after an end-to-end 1-1 draw between the teams at the Santiago Bernabeu a couple of weeks ago, with the game very unpredictable. However, with the calibre of the defeated opposition, will the victorious team become frontrunners to lift the trophy at Wembley come May? Both Sir Alex Ferguson and Jose Mourinho will know that progression will give their respective team a massive psychological boost and lift confidence heading into the quarter-finals. Plus, with the possibility that Barcelona could be eliminated by AC Milan, the winner of this tie has every chance of going all the way. United have all but wrapped up the Premier League title, with a 12 point advantage at the summit and only ten games to play. The Red Devils are on a run of scintillating form, and a 4-0 victory over Norwich at the weekend is a continuation of recent victories. Ferguson will be pleased with how the tie is positioned given the draw in the Spanish capital, and now knows that victory at home will send his side through. However, this will be no easy task. At the turn of 2013 Real Madrid looked to be a faded force from the team that lifted the La Liga title last season, with internal wranglings and inconsistent form making the headlines. However, over the course of the last month Los Blancos have set the record straight; back-to-back victories over arch rivals Barcelona show that on their day Madrid can beat anyone in world football. The 3-1 victory at Camp Nou in the Copa Del Rey will be of specific relevance to the United clash. Madrid sat back and allowed Barca to have the ball, defended diligently and pressed the Blaugrana’s main attacking players. Consequently, when this pressing resulted in a turnover, Madrid hit their Catalan foes on the break clinically and with devastating precision. At Old Trafford United will be expected to have the bulk of possession and look to kill the tie off by scoring the goals needed to win the game. The English side must be wary of committing too many men forward however, as Cristiano Ronaldo and Angel Di Maria in particular have all the attributes to punish. The absence of Phil Jones will mean that the hosts lack a real physical force in the centre of their midfield, and as such the likes of Michael Carrick and Tom Cleverley, if selected, will need to work their socks off to close Madrid’s playmakers down. A fixture that would be a fitting final, both teams will treat this game as such, and come full-time a new favourite to lift the 2012-13 Champions League crown could well book their place in the last eight.